If you’re serious about getting into Go-karting you need to get yourself some Go-karting insurance. Even if you only intend to Go-kart a couple of times a year, it is still a good idea to look into it. As with everything else in your life, it’s best to be prepared. You never know what might happen to you or your Go-kart in the future, and what you might need it for. That way, if anything unexpected does happen, you will be covered. The things that are covered within Go-karting insurance policies often vary depending on the type of insurance policy that is being offered, but it often covers any accidental damage to your Go-kart and equipment (on an all risk basis), accidental damage and fire cover, third party liability and personal or team sports wear. It sometimes covers personal possessions, but not always, so you‘ll need to check first. If you have to travel abroad for any of your races, the insurance usually covers accidents or thefts that happen in European Community countries too, but again, it‘s best to check this first. Thankfully, getting insurance isn’t particularly difficult. There are lots of places that you can go to, but some companies are a better bet than others. Some Go-karting insurance firms offer Go-karting insurance for both professional and amateur Go-karters. Insurance covers your Go-kart, engine, tyres and ancillary equipment if they are damaged or destroyed in an accidental fire or if they are stolen. Personal Injury cover insures you for any accidents that happen while you are competing at a Go-karting track that is organised by a member club of the Motor Sports Association (MSA). It is recommended that you insure yourself, as well as your Go-kart. They have many different forms of insurance available, so it is best to contact them to discuss your individual needs, as they can advise you on the right plan. Try finding a company that is recommended by the Motorsports Industry Association (MIA). 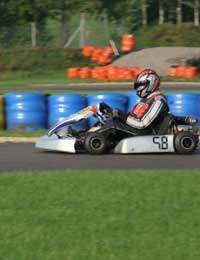 Many insurance companies offer a travel insurance package that is specifically designed for people who are planning to go Go-karting during their holidays. It might seem excessive, but if there’s a chance that you will do, it’s a good idea to get yourself covered. Anyone who takes part in Go-karting activities should take out some form of Go-karting insurance. At the end of the day, it’s better to be safe than sorry, and it could save you a lot of distress in the long run.